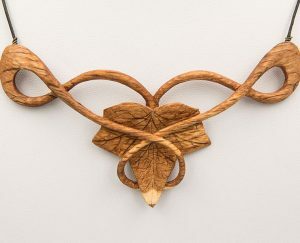 Foodandwine.com has dubbed Giles Newman’s spoons “the world’s most beautiful,” and it’s not hard to see why; his art is at once utilitarian and visually delicate. 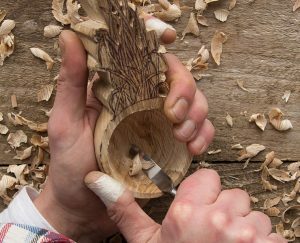 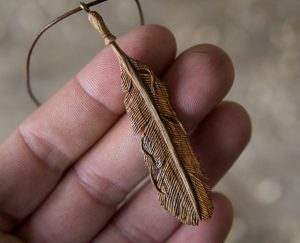 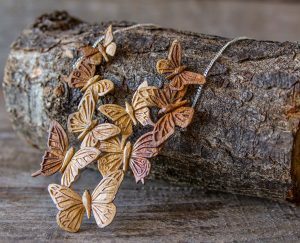 Giles carves intricate spoons and jewelry using nothing but a knife, an axe, and wind-fallen wood from Coed Tegid, his personal nature reserve in North Wales. 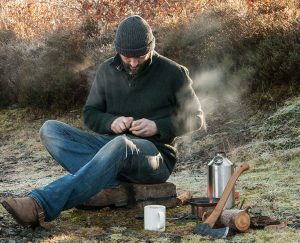 A photographer and graphic designer by trade, he taught himself to carve using the materials he had with him on weekends at the reserve—a Morakniv 120 Carving Knife and a Gransfors Bruks Small Forest Axe. 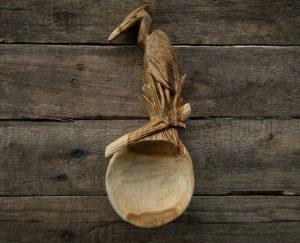 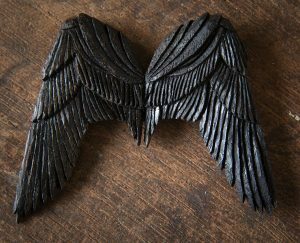 Giles has been carving commercially for just over three years, but in that time, his career has ballooned; since 2016, he has run workshops at the Bushcraft Show in Derbyshire, the Wilderness Gathering in Wiltshire, and the Great Scottish Spoon Hoolie in Sterlingshire, to name just a few. 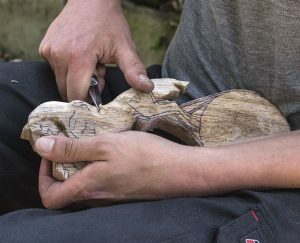 Giles Newman teaches a woodcarving course in West Lancashire and is featured in Super Handmade Craft 2 (Designer Books). 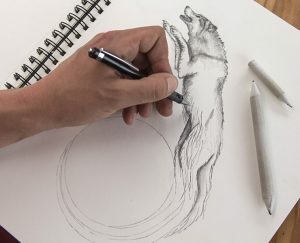 Find more of his work at gilesnewman.com. 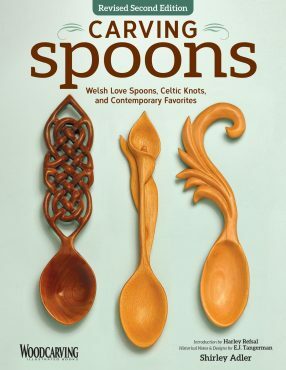 Check out Carving Spoons by Shirley Adler. 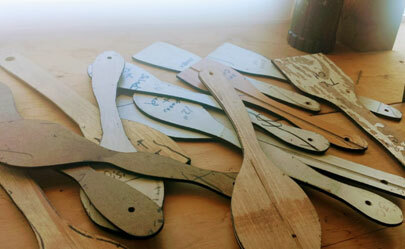 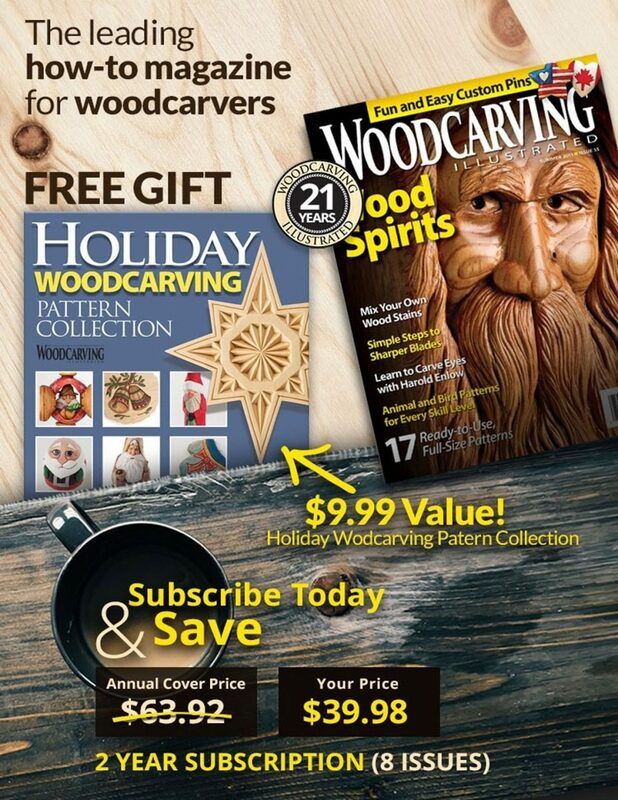 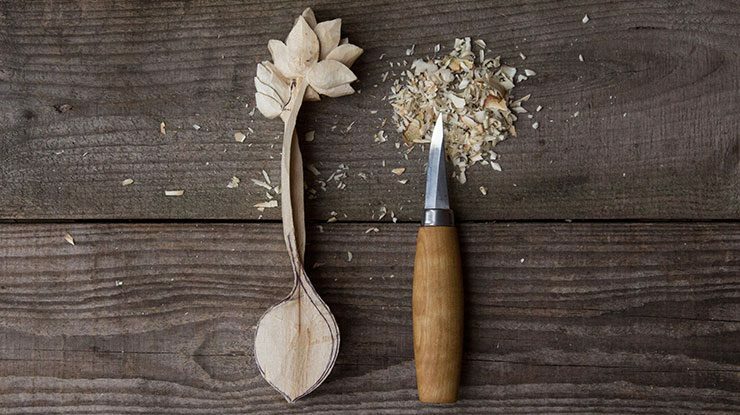 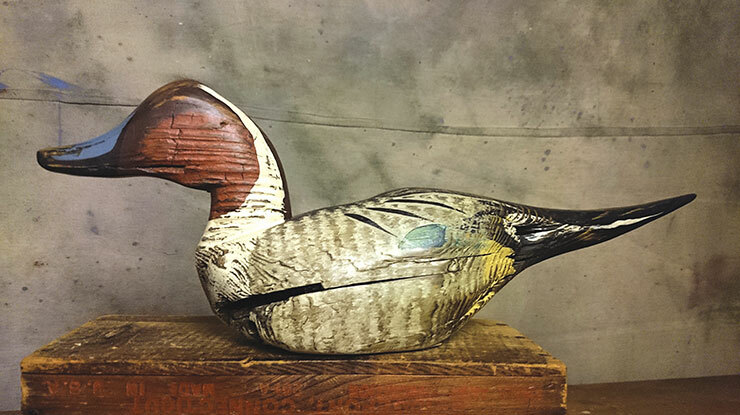 Enter the fascinating world of spoon carving. 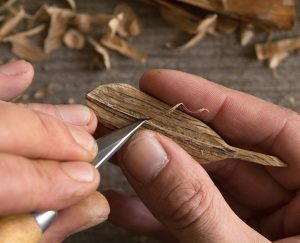 Learn to make both traditional and contemporary spoons, with 45 ready-to-use patterns and 2 step-by-step carving demonstrations. 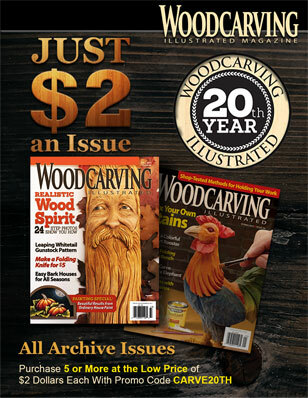 Available for 16.99 + S&H from Foxchapelpublishing.com.